Get “client attraction ideas” for your business INSTANTLY by downloading these invaluable resources. If you want MORE CLIENTS, here’s “how” you get them. 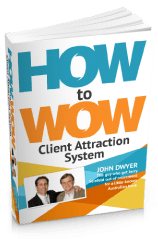 If you own or manage a business, you’ll ﬁnd this book of John’s “Wow Mantra” to be a valuable overview of how to attract new clients. 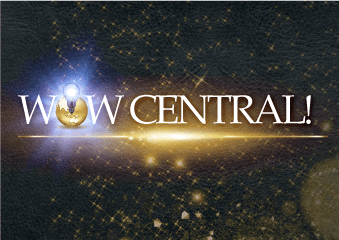 Imagine having access to the latest library of “Client attraction” marketing ideas on the planet – for just an annual membership fee of US$1,997 per year. “Ideas on tap” whenever you want them! You’ve never seen an “Ideas Dossier” like this one! It’s JD’s gigantic file of his most successful marketing concepts for businesses over the past few decades! 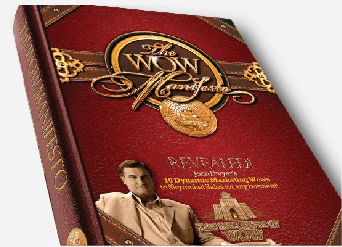 Make no mistake, this WOW Manifesto is priceless for any business owner.